WV 6 + KV 4 16335700 https://www.kaercher.com/tn/home-garden/cordless-window-vacs/wv-6-kv-4-16335700.html Clean windows in no time: the vibrating KV 4 cordless wiper, which dispenses water electrically and vibrates, removes the dirt and the WV 6 Window Vac removes the fluid. Clean windows in no time: the vibrating KV 4 cordless wiper, which dispenses water electrically and vibrates, removes the dirt and the WV 6 Window Vac removes the fluid. The Window Vac in combination with the vibrating cordless wiper cleans smooth surfaces, which have become dirty, effortlessly and quickly. First, the KV 4 cordless wiper, which dispenses water electrically and has a vibration function, removes the dirt from the surface. Excess fluid can then be removed with the WV 6 Window Vac without leaving any drips or streaks. 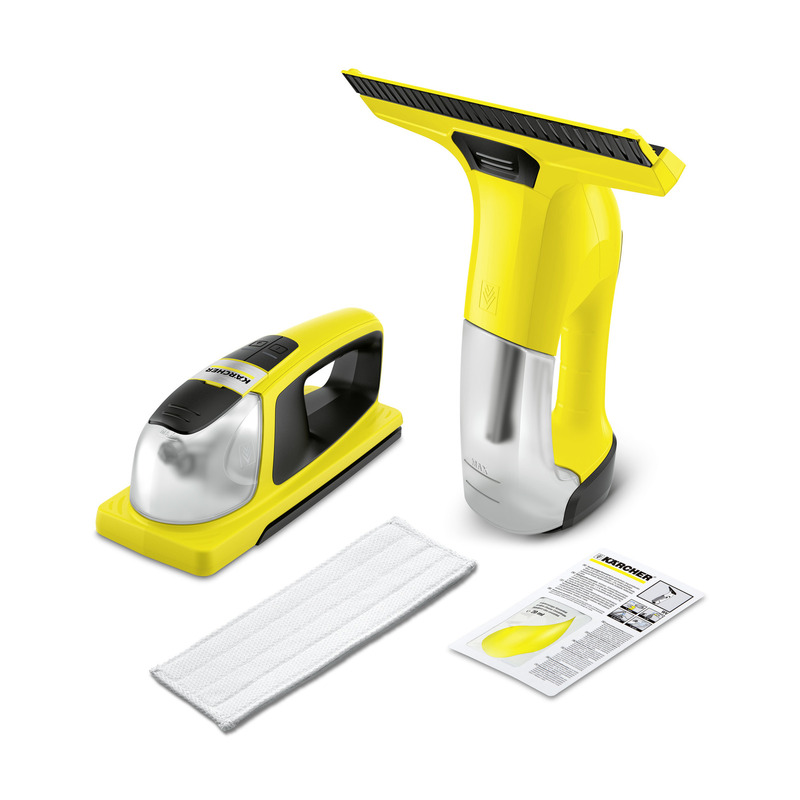 The extra-long battery running time of 100 minutes and new blade technology make this model a shining example of the Window Vac range. The new WV 6 suction blade is so flexible that you can remove excess fluid in one go, from top to bottom, and achieve streak-free windows right up to the window edge – ideal for floor-to-ceiling surfaces.